What is TANK TRACK™ Laser Cut with DMS? 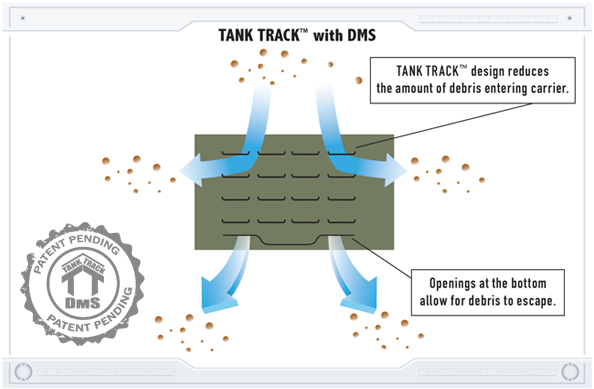 TANK TRACK™ with Debris Management System (DMS)* has a two-fold design to limit debris from entering the carrier and to allow it to escape. This lightweight composite material has the highest strength performance of competing laser cut fabrics on a weight-by-weight and thickness basis. 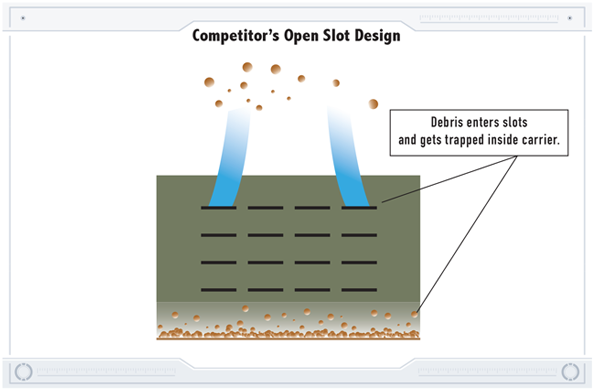 On average, TANK TRACK™ carriers are 15%-20% lighter. Ultra-thin fabric flexes without losing strength. High tensile and tear strength for high confidence – no loss of gear. Maintains the same strength as traditional MOLLE webbing without added weight. Unparalleled water resistance. 48% less water weight gain. Extraordinarily resistant to wet environments. 30% higher puncture resistance for durability. Flexes without losing strength over repeated use and replaces MOLLE webbing without sacrificing durability.